Nicolas Jarrot was born in 1764 in Val St. Eloy France, a village near the Swiss border. He immigrated to the US in May 1791 arriving in Baltimore, Maryland. Traveling first to New Orleans in 1793 he arrived in Cahokia in 1794 and married Marie Louise Barbeau of Prairie du Rocher. Marie passed away when she gave birth to their first child, a daughter in either 1796 or 1797. The following year he married Julie Vital Beauvais of Kaskaskia and together they had six children. Jarrot owned the land along the Wood River where the Corps of Discovery camped during the winter. As a storeowner, he also may have sold gear or supplies to Lewis for the journey. It was in 1799 that Nicolas Jarrot bought the property for his mansion. 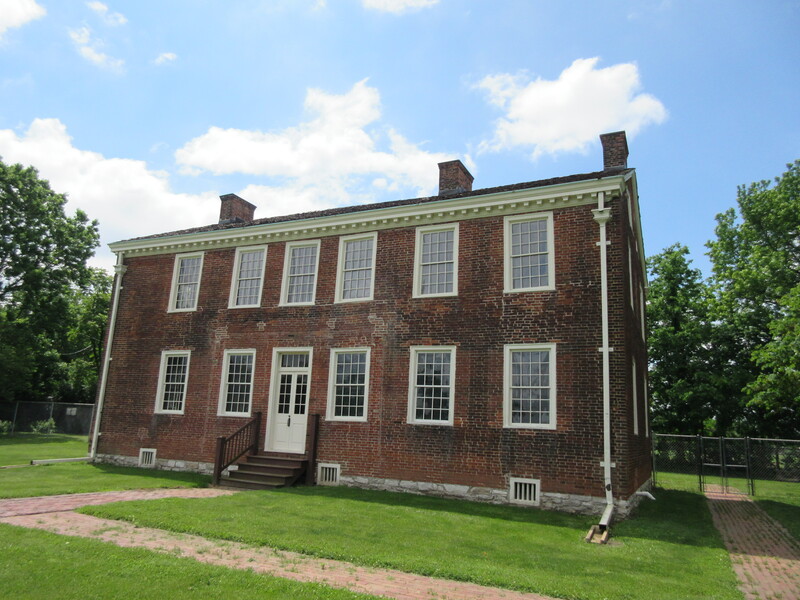 The American Federal Style home was constructed from 1806 to 1807 and is one of the earliest surviving masonry buildings in Illinois. The Mansion is a two-story brick structure with a full cellar. Winn shared that the basement served as the slave quarters. The first floor is composed of a central hall, flanked on each side by two rooms. The second floor contains a ballroom with attached drawing room, a stair hall, and two other rooms. On the grounds is a stone spring house that dates from c.1810. By his death in 1820, he had acquired thousands of acres of land in St. Clair, Madison, and Monroe counties. Read more about Nicolas Jarrot on the website http://jarrotmansion.org/. Very nice summary. I am a Jarrot descendant. How wonderful thank you for letting me know!